Each section of the trail varies in length from 70 to 230 meters linking a total of 10 platforms, making the total length of the trail 1.2km. 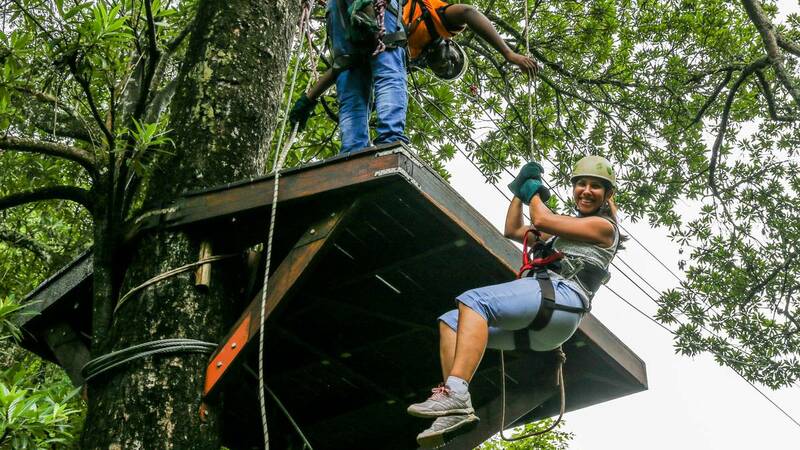 The trail has been designed and built to South African civil engineering standards and all the equipment has been designed specifically for this activity and tried and tested worldwide. All groups are escorted by qualified guides. Participants meet at Perry’s bridge Trading Post in Hazyview, to complete the necessary documentation before being kitted out and briefed. Guests are then transported to the starting point of the trail. After the trail has been completed, participants are returned to Perry’s Bridge Centre, where you will find restaurants and shops at your service. Bottled water is provided during the trail. We can accommodate up to 8 participants per trip, on scheduled departures. Larger groups can be accommodated over several trips, please enquire about our team building specials. 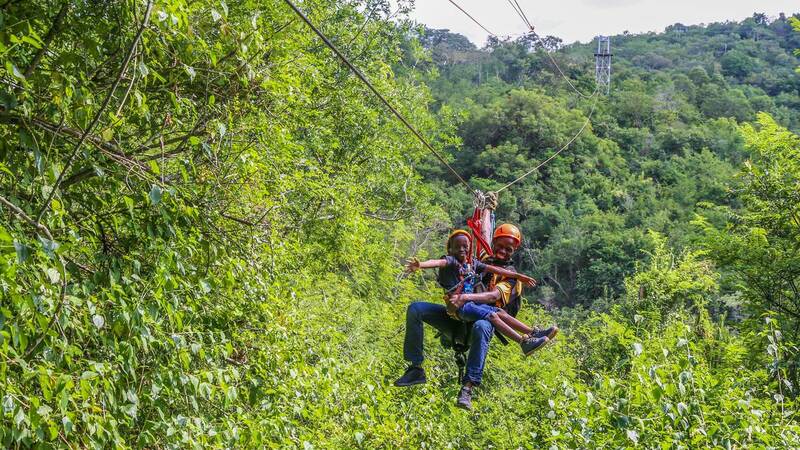 This adventure activity is suitable for families and people of all ages; however children under the age of 10 might need to be assisted, please contact our office for more information. Advanced booking is recommended. The maximum per person weight is 120kg. The whole tour takes approx. two and half hours to complete. 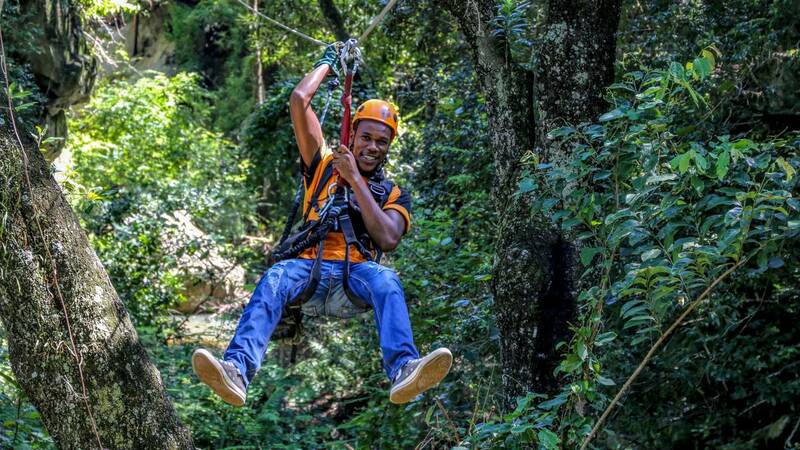 Recommended activity if you are travelling in the Southern Kruger National Park area. When7 Days a week. Closed on 25 December and 1st of January. WeatherWeather permitting no lightning. We do go out in the rain. Guests or SpectatorsNo guest information. 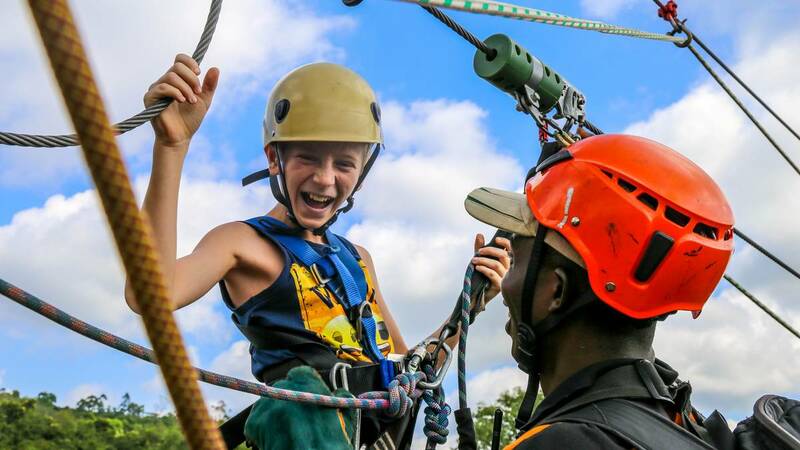 This adventure activity is suitable for families and people of all ages; however children under the age of 10 might need to be assisted, please contact our office for more information. We can accommodate up to 8 participants per trip, on scheduled departures. 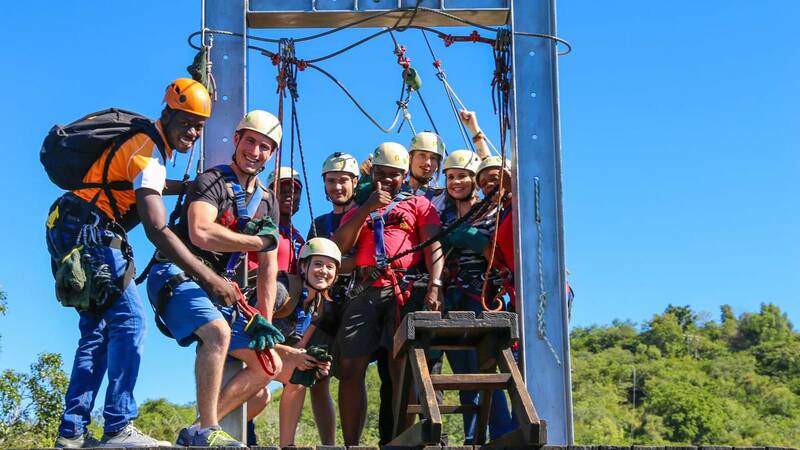 Larger groups can be accommodated over several trips, please enquire about our team building specials. Advanced booking is recommended. The maximum per person weight is 120kg. The whole tour takes approx two and half hours to complete. 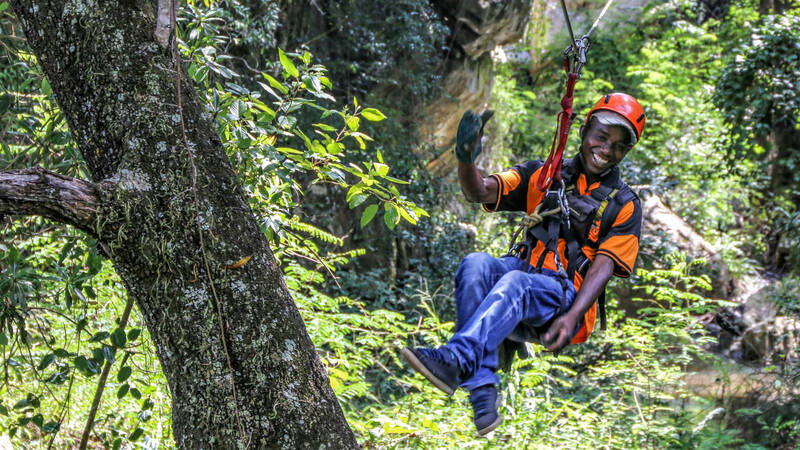 Recommended activity if you are travelling in the Southern Kruger National Park area.